Beaconsfield is still largely surrounded by farmland because of the policy of the Green Belt in the Town and Country Planning Act 1947. The development of the area is not the usual one of a nucleated village, surrounded by arable land. The pattern here was rather that of a large number of farms, scattered over the parish. The large estates had their ‘Home Farms’. 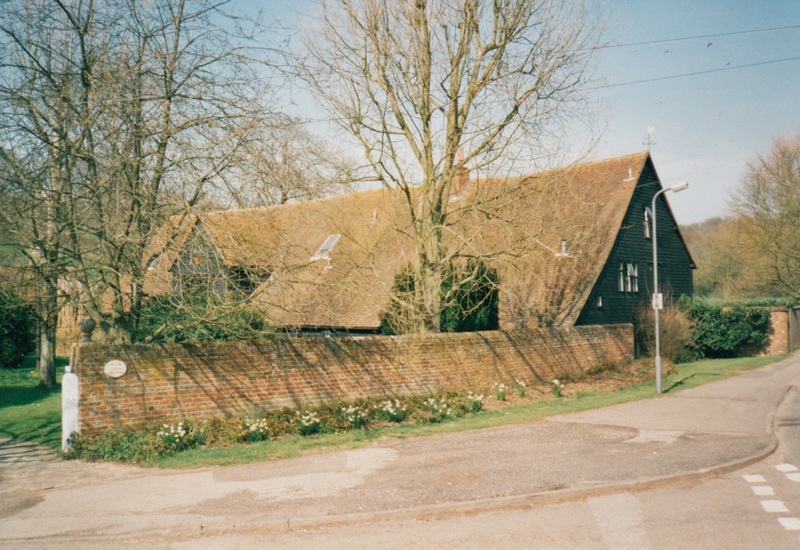 That of Butler’s Court was near where the Adult Learning Centre now stands; Hall Barn’s is now used as offices for the estate; Wilton Farmhouse still exists. However, records show that there were originally over thirty farms and smallholdings in the Beaconsfield area. Many of these have completely disappeared but some live on, preserved as house names, road names or districts. The last mention of Ledborough as a farm is on the Tithe Map of 1846. Today the name continues with Ledborough Lane, Ledborough Wood and Ledborough Gate. The latter is a development of expensive houses, as far removed from anything to do with a farm as is possible to get. Wattleton Road remembers Wattleton Farm which was demolished in 1891 in order to build the entrance to Butlers Court. Rolfe Close, just off Wattleton Road, is named after William Rolfe who died in 1866, leaving a widow and three sons. The Rolfe family lived at both Wattleton and Widgenton Farms. Knotty Green Farm was a delightful small Georgian farmhouse which was demolished and replaced by a modern house. Knotty Green district is one of the more characterful areas of Beaconsfield where some older houses do still remain. Other farmsteads still exist but with considerable changes. Davenies, no longer a farm, was one of the first to benefit from a new lease of life. The small square Georgian house has been incorporated into what is now a successful private school. 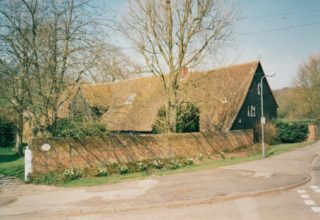 In 1940, Mr and Mrs Petty who owned a school in Northwood, Middlesex, decided to move to a safer area following the outbreak of the Second World War. Accompanied by the headmaster and six pupils, they moved into Davenies Farm which became Davenies School. The land surrounding Beaconsfield was particularly suitable for growing cherries. There were large orchards, one of which was at Seeleys Farm; the 400 year old farmhouse and barns are now in the middle of a housing estate. The family name of one of the farm owners is recorded in Wooster Road, just off Seeley’s Road. In Holtspur there were three farms. The largest of these, Holtspur Farm, had two rooms which made up The Kings Head Inn. In 1905, The King’s Head Inn continued as a local hostelry until the land on either side was developed or added to other farms. The farmhouse then became The King’s Head public house (now The Harvester). Ivins Road perpetuates the name of a previous owner of Holtspur farm and inn. Holtspur Top Farm included land on the south side of the A40 where Holtspur Cemetery now is. The farmhouse became derelict and was demolished – the cul-de-sac Top Farm Close is a reminder of the farm’s existence. The farmhouse, stables and large barn of Holtspur Bottom Farm have been restored and modernised and continue their existence but as an attractive home. The land that once belonged to this farm has been incorporated with the adjoining farm at Forty Green. Lude Farm, north west of the town is still a working farm and is referenced in the Doomsday Book.